Labor Central Committee approves 450 new delegates. Herzog's rivals: He's planning to join the coalition. Opposition leader Yitzhak Herzog was on Sunday accused by his rivals in the Labor party of eyeing an entry into Prime Minister Binyamin Netanyahu’s coalition, after the Labor Central Committee approved Herzog’s initiative to add 450 new delegates to the committee. The Labor party said following the approval that "this procedure is the result of a decision of the legal institutions of the party and of the District Court in Tel Aviv and was led by party chairman Herzog and by secretary general MK Yechiel Bar." Not all Labor members, however, were on board with the move, with MKs Yossi Yonah and Mickey Rosenthal leading the resistance to the move and arguing the procedure was not a democratic one and could harm the party. The goal, they claimed, is to empower Herzog who is seeking to joining the Netanyahu government. "Herzog is eyeing the government," opponents to the initiative charged, adding, "Now he will postpone the primaries and his path to the coalition will be paved." We have struggled to "create a new ethos, original and sweeping, actual and relevant ideas in light of the demographic changes in Israeli society and in the face of a changing reality...We're barely even on the playing field," said Rosenthal. The new additions to the central committee include loyalist MKs, mounting suspicion that Herzog could use them to pass through a proposal postponing the May 2016 Labor leadership race by a year, thus enabling Zionist Union to join Netanyahu's coalition. 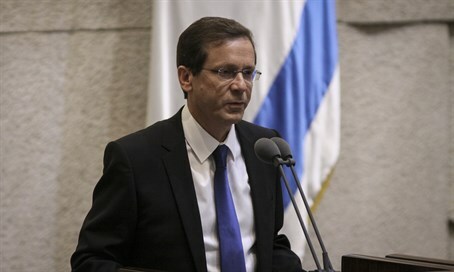 So far, Herzog has insisted he will not join the coalition, even though Netanyahu has tried to lure him in. According to Maariv, the Prime Minister has already offered Herzog seven portfolios - including foreign affairs and justice - and promised to shift coalition policies away from the tight if Zionist Union joins. A spokesman for Herzog has denied both the report and speculation over the Labor leader's plans. Netanyahu has reportedly also reached out to Yesh Atid chairman Yair Lapid, offering his party the ministerial portfolios currently held by Jewish Home.